This is a game that has everything to play for and you can expect the atmosphere to be electric in Berlin when these two sides clash. The home side is still in with a chance of grabbing a playoff place, but they know that a win is vital if they want to keep these dreams alive. The away side has an even slimmer chance of making the playoffs but while there is a chance, they will continue to play with hope and expectation. Whatever team loses this game will find it very difficult to pick themselves up from the blow, which means that this is a match that could go right to the wire. Berlin holds a 9-12 record this season, which includes a 4-6 record in the regular season and a 5-6 record in the Top 16. They face a side from Belgrade who also hold a 9-12 record from their campaign, which includes a 6-4 record in the regular season and a 3-8 record in the Top 16. With respect to average points scored, Berlin holds a 73.0 record while Crvena hold a 76.3 record. Crvena are currently sitting at the top of the Adriatic League with a 24-02 record and their most recent game in the league was a 89-56 win over MZT Skopje. Alba Berlin are currently in second place in the German league with a 22-4 record, one place behind Brose Bask who have a 23-3 record. Alba’s most recent domestic game was an 86-83 OT win against TBB Trier. The return of Jamel McLean is great news for Berlin and if they are going to achieve success to night, he will likely have a big part to play. He has served up an average of 13.6 points per game this season while also offering up an average of 5.4 rebounds. Alex Renfroe has also been a key player for the German side, providing an average of 5.0 assists per game. Boban Marjanovic is likely to be the danger man that Berlin will be looking out for in this clash. He has bagged an average of 16.4 points per game this season while he has also managed an average of 10.4 rebounds per game as well. He has been the man that has made the Belgrade side tick this season and he will be crucial to the outcome of this game. Marcus Williams has also been a key player for the side from Belgrade, offering up an average of 6.2 assists per game this campaign. 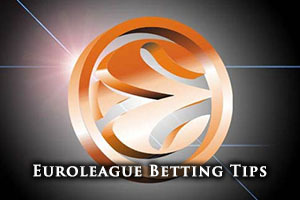 Taking Alba Berlin with a -4.5 handicap at odds of 1.90 is a decent bet for Thursday night. You will also find some value in the Overs/Under market by going OVER 148.5, again at odds of 1.90. If you are looking to watch the game between ALBA Berlin v Crvena Zvezda Telekom Belgrade live on Thursday the 26th of March, we can help you out. Bet Now!